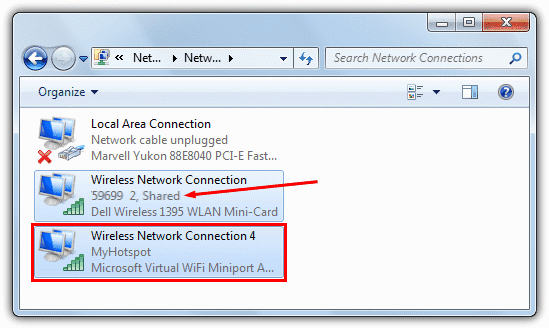 Microsoft WiFi Miniport Adapter is developed by Microsoft with purpose that the users can share their wireless connection. After the implementation in Network Connections in Control Panel we have another icon for this connection, similar to the one of the Wireless Network Connection. But usually a problem occurs with this connection in the way that the laptop have difficulties when you try to connect to another wireless network. Recently i have a situation with Sony Vaio laptop, where after this laptop is connected to the router, no other device can be connected. So here we gonna show a way how to remove the Microsoft WiFi Miniport Adapter and avoid this kind of difficulties. Everything is done through Command Prompt, but need to be run with Administrator rights. 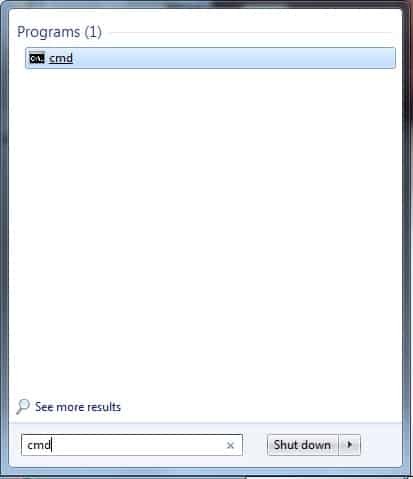 To do this we go to Start and in the Search Board we type “cmd“. 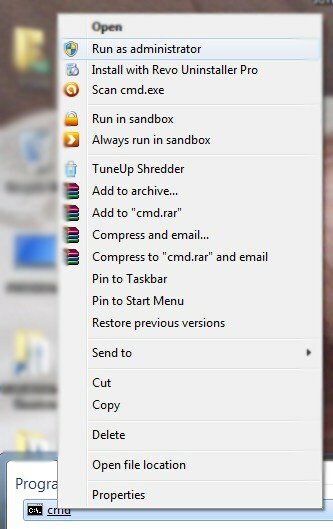 When the icon is shown we click with the right click on it and select Run as administrator. You can copy the text and paste it (you must use the right click on the mouse and paste button in cmd – CTRL+V don’t work here) and with pressing the Enter button at each row separately, in the given order. After that you restart the computer and the Microsoft WiFi Miniport Adapter sould be removed. This entry was posted in Maintenance and tagged CMD, WiFi by Tome Trajkov. Bookmark the permalink.